The first time I used pumpkin puree was probably about 20 years ago when a co-worker of mine gave me a basic, but good recipe for making pumpkin pie that called for a can of this stuff. Again, since I had been partially raised in Colombia I had never heard of it, I just figured the pumpkin magically transformed itself into a custard during baking. But canned pumpkin puree? 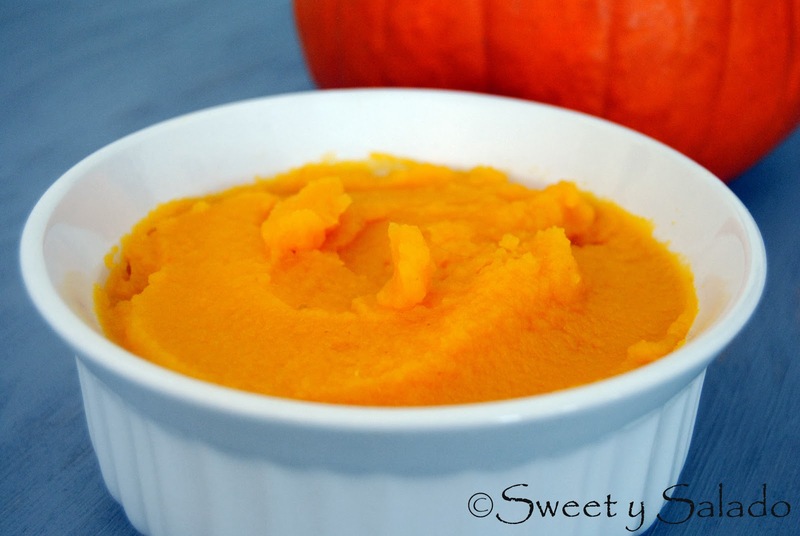 That was all new to me and I loved it; however, the one thing I’ve never liked about using canned pumpkin puree is the metallic taste you some times get from it, same goes for any kind of pie filling which is the reason I always like to make my own. Making it takes a little bit more effort than opening the can and pouring it out, of course, but it is so worth it! Now, most recipes call for “sugar pumpkins” or “baking pumpkins” and I agree, those are the best for cooking. But I have to be honest and say that I have used the flesh of the bigger pumpkins to make my puree and even though they’re not as sweet and tender as the little ones, my puree turns out just fine. I’m not going to lie and say that you should only use one kind of pumpkin because in all honesty, I have had success with both. As for the pumpkins that are grown in Colombia, I’m assuming that they will work for this recipe as well since they’re used for all kinds of recipes down there. 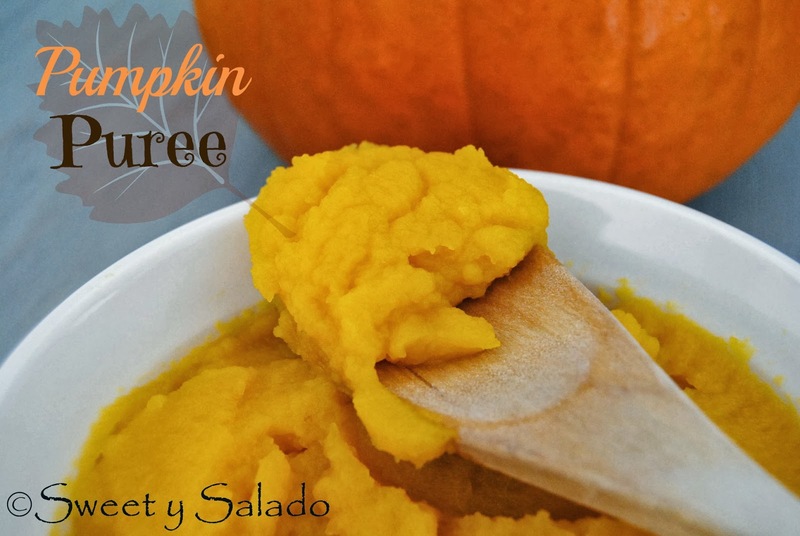 So, if you live in Colombia just use whatever pumpkin you can find, make this recipe and please, let me know how it turns out. 1. Clean sugar pumpkin really well and pat dry. 2. Cut off the top of the pumpkin with a knife and then cut it in half. Scoop out all of the seeds with the help of a spoon. 3. Place the two halves on a baking sheet lined with parchment paper and bake at 350ºF (180ºC) for about 40 minutes or until tender. 4. Once baked, let them cool completely and then peel off the skin. It should come right off but you can also use a spoon to take it off. 5. Place pulp in a food processor or blender and blend until smooth. 6. Place the cheesecloth in a small container and then put the puree on top to ring the water out with your hands. You can also put it in colander and let it drain for about 4 hours. **Note: To cook the pulp using your stovetop, peel the pumpkin, cut the pulp in chunks and cook in boiling water until tender.